SAN FRANCISCO (KGO) -- A Bay Area family is getting a Disney wish come true thanks to a local radio station. 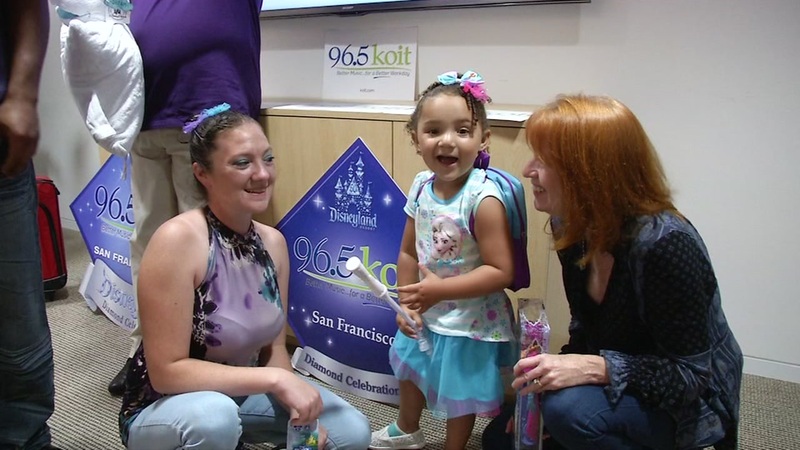 ABC7 News was at KOIT radio as three-year-old Caliah Henry and her parents were surprised with a suitcase full of "Frozen" toys. Disney is a parent company of ABC7 News.